This textbook is suitable for the following courses: Human Relations. 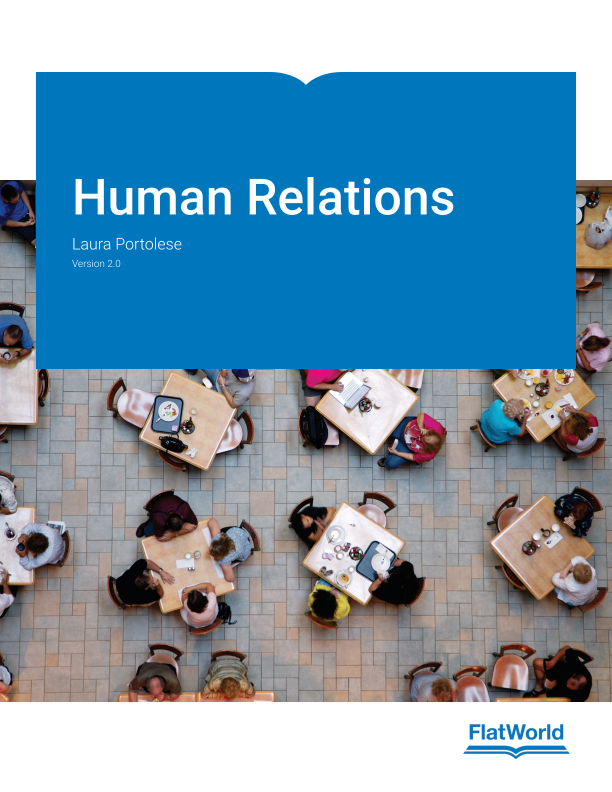 Unlike typical organizational textbooks, Human Relations is less theoretical and more directly focuses on students in their current and future jobs. This textbook focuses on emotional intelligence and how to use it to achieve career success through ethics, communication, diversity, teamwork, conflict, decision making, stress management, motivation, and leadership. Portolese’s easy-to-understand approach engages learners while discussing how to effectively maneuver in the workplace. New examples and case studies. Up-to-date coverage of the latest thinking in human relations. New video links to demonstrate the concepts. Varied learning formats, such as YouTube videos and key takeaways. Chapter 1: What Is Human Relations? 1.1 Why Study Human Relations? 7.1 What Is A Group?